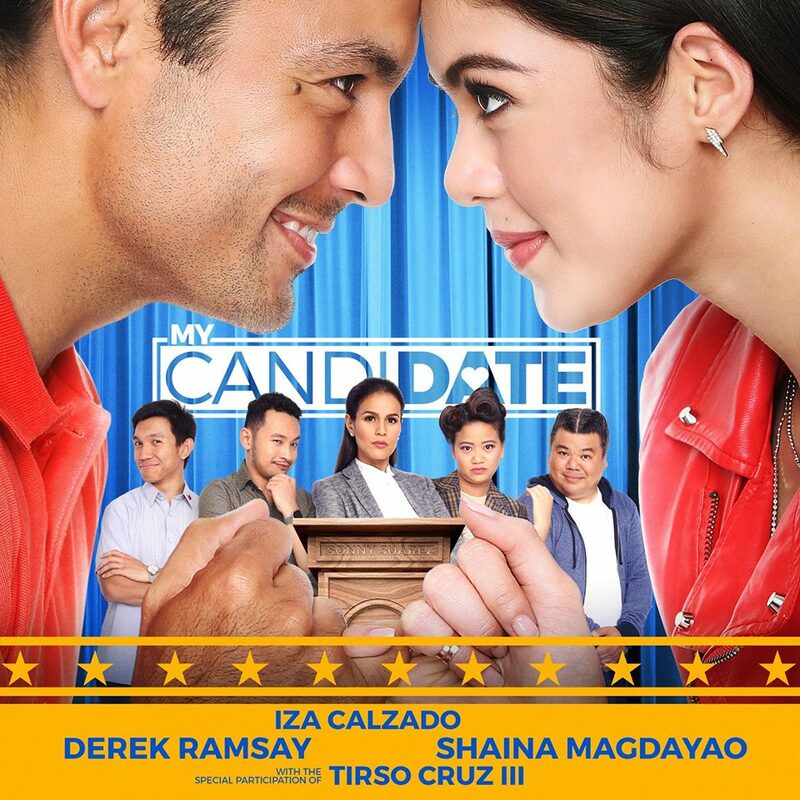 Derek Ramsay and Shaina Magdayao teams up in Quantom Films' latest offering titled My Candidate. Together with Iza Calzado, they give the audience a different tale of love and romance this election season. In this light romantic film, Derek plays Sonny Suarez, a congressman running for senator. He wants to continue the legacy of his ailing father, played by Tirso Cruz III. Political scion Congressman Sonny Suarez has all that it takes to become a Senator but lacks charisma. Determined to improve his lackluster showing at the polls, Sonny's team hires Billie Pono, a smart life coach. Billie molds Sonny into becoming an outstanding public speaker. She succeeds at turning Sonny into a desired candidate and the two become close while at work. While campaigning, Sonny encounters his ex-girlfriend, Vera. Iza Calzado plays Vera Sanchez, a self-made congresswoman. The campaign proves to be an uphill battle with many twists and turns, with Vera declaring her candidacy for the Senate. Sonny soon finds himself falling for his coach. "My Candidate" also stars Nico Antonio, Ketchup Eusebio, Ricci Chan, Jun Sabayton, Christine Babao and Al Tantay. The movie is directed by Quark Henares and opens in cinemas nationwide starting May 11.